Thai Iced Tea is one of my favorite drinks and a delicious accompaniment to any Thai dish. Luckily, you can find the Thai Tea Mix at your local Asian grocery and you can make this at home. 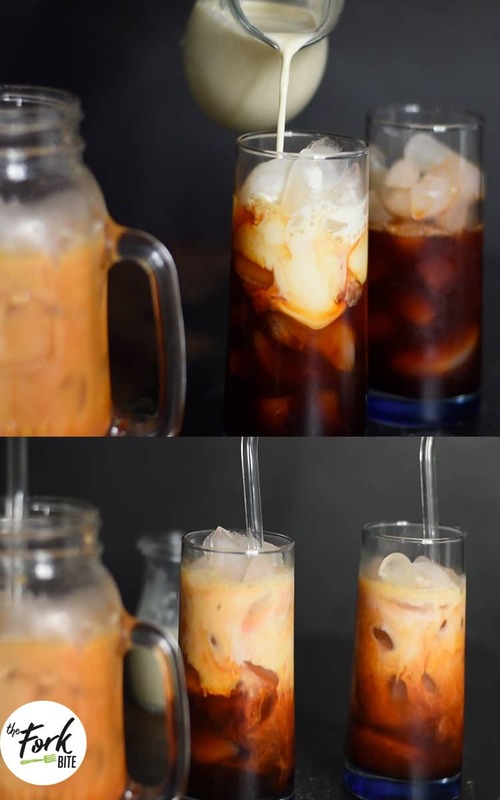 Now you can skip the line at the coffee shop and enjoy Thai iced tea at home with this super-easy recipe that tastes like the authentic version of this beloved creamy and sweet Thai tea beverage. Ingredients like ginger and chilies bump up the simmer in favorite dishes like Thai Beef Salad, The result? It may be too hot for some and not hot enough for others. It’s easy to satisfy almost everyone when you make Thai Iced Tea the beverage of choice for the meal. Two things will grab your attention with Thai tea. One is its vanilla aroma and flavor, while the other is the brilliant orange color once the strong black tea is brewed. The shade is due to the addition of yellow food coloring. The homemade version, just like the restaurant style, is so good that you won’t want to stop with just one glass! Why cheat yourself and your family out of a second helping? Make a batch and enjoy experimenting with the amount and types of cream and sweetness. Simmer the tea until it is the strength you prefer! Besides its delicious flavor and delightful appearance, the tea helps relieve the burning sensation caused by various spices. Even though it would be fun, there is no need to travel to Thailand so you can order it at a restaurant. You’ll find it served in Las Vegas, Manhattan, and a multitude of other cities across the United States. The bottom layer of amber tea and the top layer of milk or cream often feature some type of sweetener, making it seem more like dessert than a beverage. I enjoy it during any season and think you will, too. Is someone in your family allergic to dairy products? Get the creamy layer’s visual effect delivered by canned milk or half and half by using coconut milk, which really isn’t dairy at all. 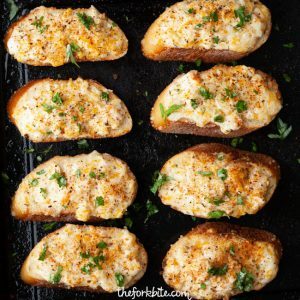 This recipe is fun to experiment with. 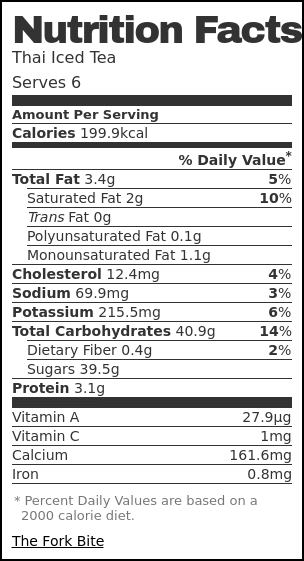 Decrease or add the sweetener of your choice. Steep a bit of tamarind or star anise with the tea leaves or mix. I’ve found putting cloves into the mix during the fall and winter seasons adds a pleasant, festive fragrance to the drink and through the house. Thai Iced Tea is delicious served cold or hot – but that wouldn’t really be iced, would it? 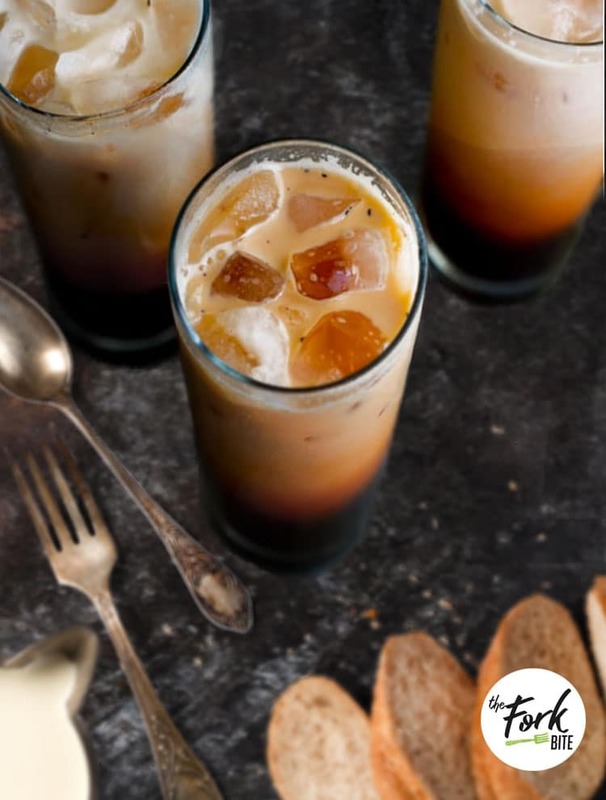 The ice cubes are an essential part of keeping added dairy products on top of the drink and forming a layered look. However, once you’ve mastered this recipe’s technique, why not try it as a hot beverage for a special occasion? 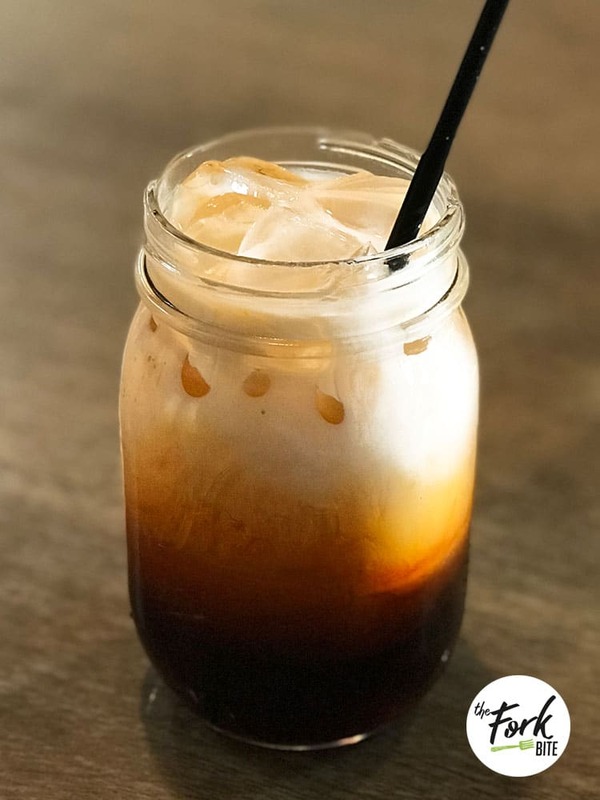 Now you can skip the line at the coffee shop and enjoy Thai Iced Tea at home with this super-easy recipe that tastes like the authentic version of this beloved creamy and sweet Thai tea beverage! Bring water to a boil and add the Thai tea mix. Add the star anise and cinnamon stick. Add the palm sugar and gently stir to completely dissolve sugar. Gently boil tea for about 3 minutes and remove from heat. Spoon out the anise and cinnamon stick. Allow the tea to steep for at least 30 minutes and to cool it down. The more concentrated the tea flavor, the better the Thai tea tastes. Strain the Thai tea mix using a fine strainer lined with cheesecloth, Set finished Thai tea aside to cool or refrigerate to chill. 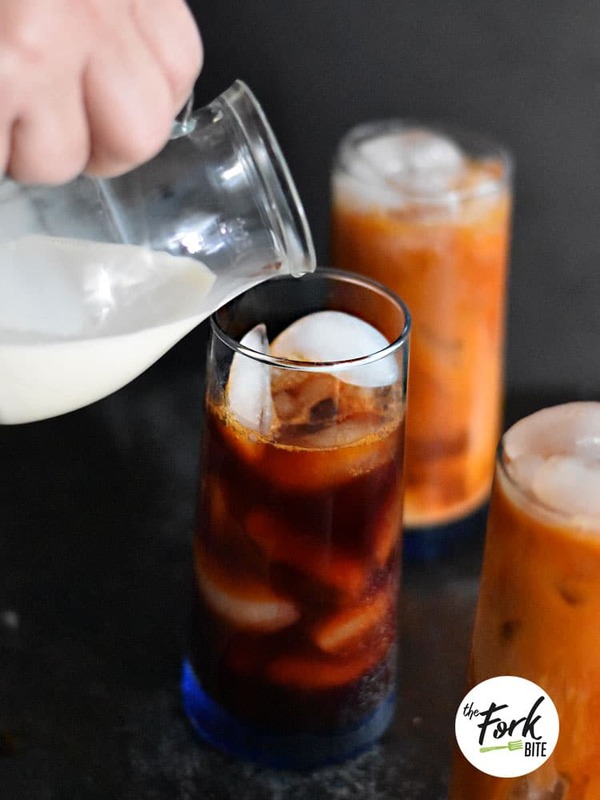 Fill glass with ice and pour in chilled Thai tea mixture (¾ of the glass) leaving enough room to fill in your milk (or other creamers). For an 8 oz. glass, add about 4 tablespoons of evaporated milk (or half and half) for a creamier flavor. 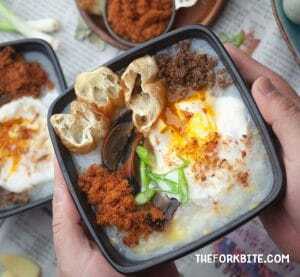 You can make this ahead of time and have the Thai tea mix chilling in the fridge. I got excited when I saw this recipe. Indeed, it’s not labor-intensive re-creating this drink at home.. Yes, I need to order my Thai tea mix now, whoot!! This Thai Iced tea reminds me of my grandma who used to make this drink for us all the time. Well, those were the days :)… and now, I can make it on my own, I guess the trick here is the tea mix to make the drink tastes authentic. Ahhh… need to grab that tea mix now!! I can drink Thai iced tea every day.. I love adding mine with cinnamon stick and star anise as well, the addition makes the tea more irresistible. Thank you for sharing. Ahhh.. what a refreshing drink, made me crave for one 🙂 Can you make some Tiger sugar bobba too? It’s very popular iced tea drink right now in Asia.. I go crazy looking it here in our neighborhood. This is so simple!! Never thought I can recreate my own Thai Ice tea at home and it was so worth it. Now, I don’t need to buy ice tea anymore – I just ordered the Thai tea mix thru Amazon and I’ll drink it at the comfort of my home. 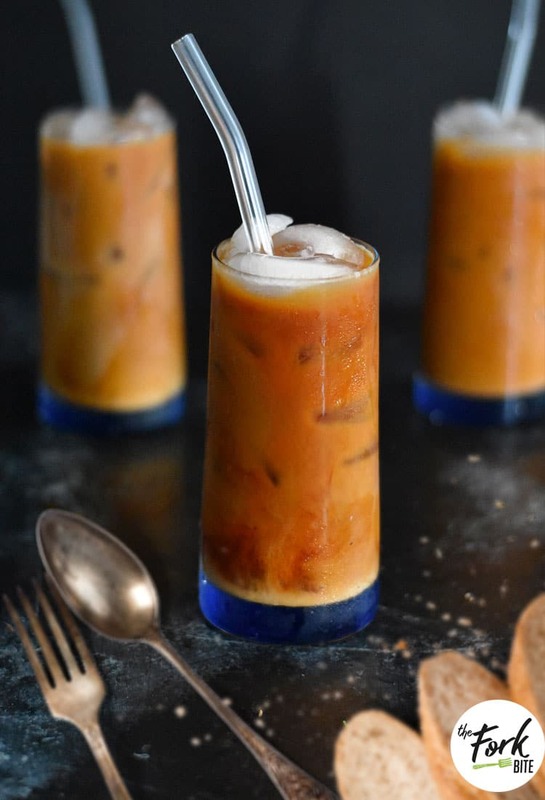 I love Thai Iced Tea and this is so easy to make. Yes, I cant wait to try this at home, all I have to do is to order my Thai tea now.. Yay! Thnaks for sharing thai tea information. Thailand really an amazing place where everyone wants to go beafore die. Your article really very nice. Great post keep sharing. I eat them cooked (beef) like steaks. The beef on this Thai salad is really good, I can eat 2 servings on this hahaha. Calleigh, before I knew how to cook any Thai food, or visited Thailand, I learned to make Thai Iced Tea. BTW, when you eat beef salad, do you eat cooked or raw? 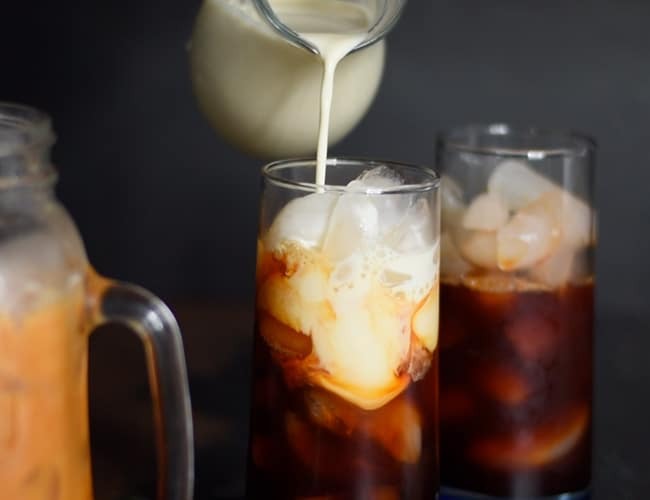 A wonderful Thai iced tea recipe that’s worth a try! I think it’s such a lovely beverage and I’d love to make it at home. It’s perfect for those lazy afternoons, while you’re on the couch reading a good book! I have never seen Thai tea mix in my neighborhood supermarkets or had this beverage before in a restaurant or cafe. 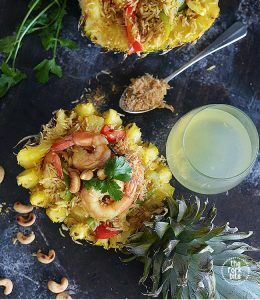 I love the idea of a cooling icy drink with hot spicy Thai food and this looks so tasty that I would love to try it. 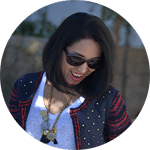 I can see why you are loving the Thai iced tea…the sweeteners especially!Sounds even like a smoothie..too bad I haven’t tried having iced tea before…but thanks for the recipe. I could make good use of it and get to love the iced tea as well. I am more of a coffee person than tea, but my sister has this eternal bonding with tea and I am going to pass this recipe to her. She would definitely like it and will owe me one, heck yes!! I wuld like to try this. I drink different teas and this is pretty enough for atleast a sample. I actually have anise. I love making ice tea in summers but have never tried its Thai version. 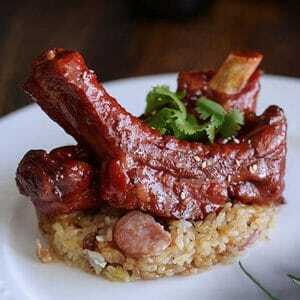 This looks delicious and it would be interesting to try your recipe. This is similar to the other famous Taiwanese Milk Tea but sweeter. I am a sweet tooth so I very much prefer this! Off to hit the ingredients! I don’t drink tea and have never tried iced tea either, Im not so sure I would like it! I would like to try it though, especially in thailand! These teas are so inviting and so wonderfully served. I would like to taste them all. which one is your fav? Your pictures are gorgeous! 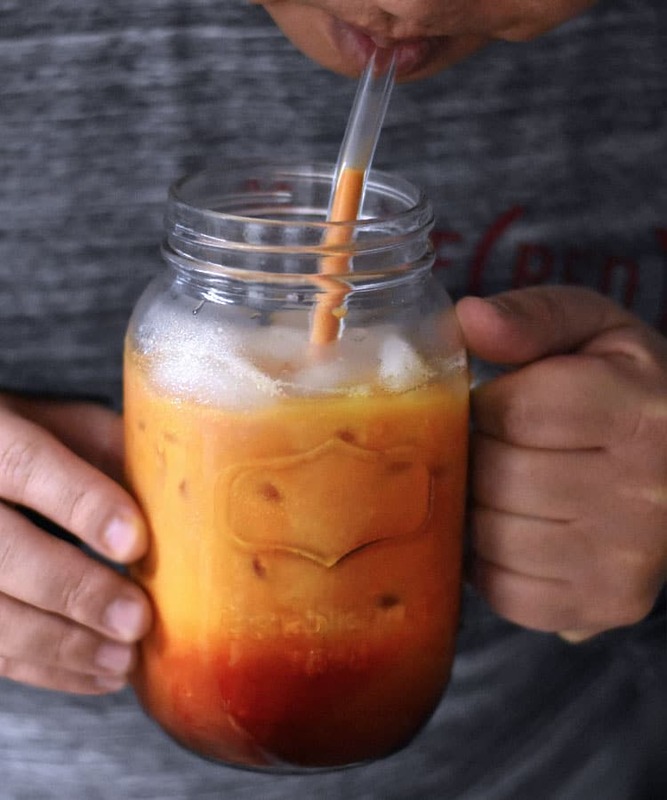 I will have to give this a try, my husband loves Thai Iced Tea! You can get the Thai Tea mix at your local Asian market – I got mine at our local Thai Market or you can order it online from Amazon. I could go for one of these today! So yummy! Mmm! I love these but have never made one at home. 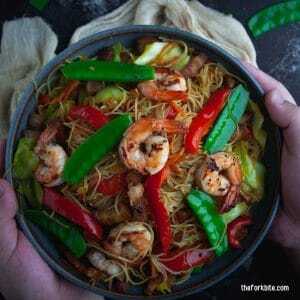 How great to have this recipe for a fix at home! I’ve often wondered what went into thai tea at the restaurant – so thanks for clearing that up! — where do you find the thai tea mix? I love Thai tea. This is my go-to drink each time we go to Thai restaurant . Glad I can make this at home. Yes! I’m not a tea fan, but I’m TRYING to be! This might just switch me! I’ve never heard of the Thai tea mix before, but it sounds so delicious and something I would love to try!